Smooth, spreadable homemade peanut butter that is a higher ketogenic ratio than any jar variety you can buy. There are no mystery ingredients and best of all, you don’t have to stir a jar of separated peanut butter and oil! Cheap & easy to make, you can even use coconut oil if you are trying to find ways to sneak more of it in. The shortening used is Spectrum Organic, please stick to this brand if you are using the KetoDietCalculator. You can also use a combination of both fats if the coconut taste is too strong for you. 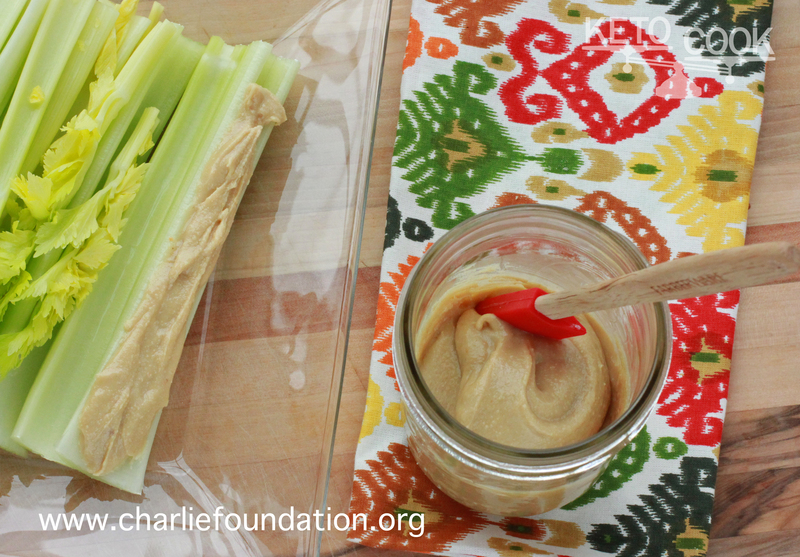 This recipe was originally created for The Charlie Foundation, please click this link to get the full recipe on their site!